29895 Cartier W7100039 Calibre de Carter, stainless steel and 18K rose gold with stainless steel deployant buckle (the strap is brand new), automatic Cartier 1904-MC movement, silver dial, black Arabic numerals, date at 3 o'Clock, display back, sapphire crystal, size 42mm, thickness 14mm, like New with box and papers dated December 2010. 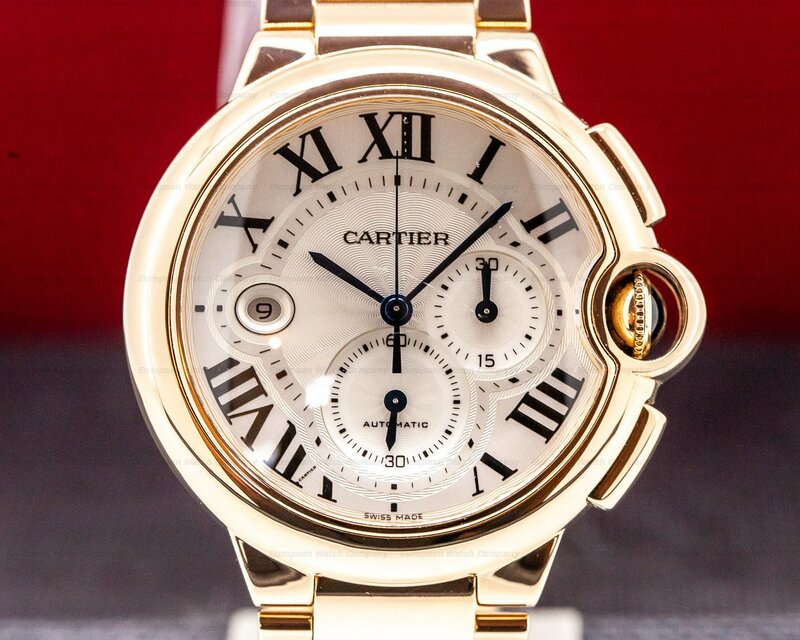 This is a stainless steel and 18k rose gold Cartier Calibre de Cartier W7100039. It has a leather strap with a stainless steel Cartier double folding deployment buckle, and a scratch resistant sapphire crystal. 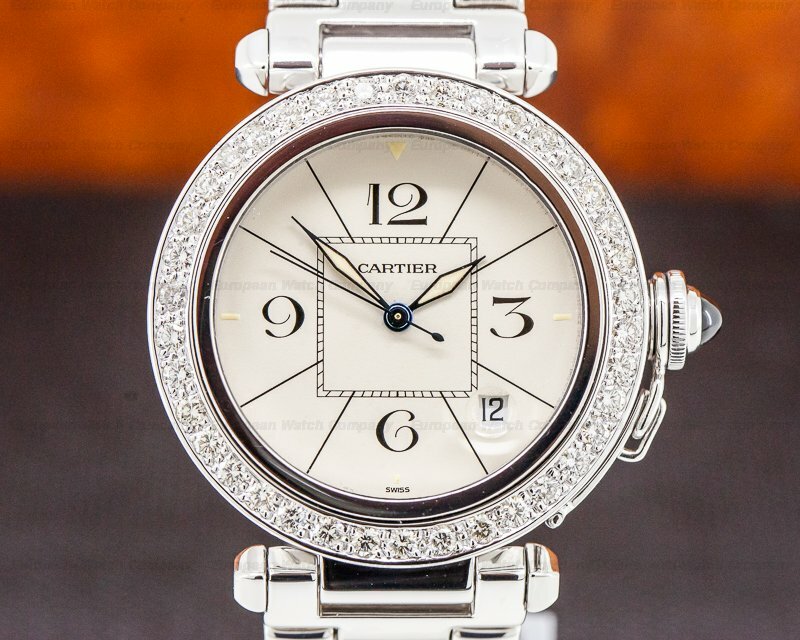 There is an octagonal screw down protected winding crown set with a faceted synthetic sapphire spinel, and it has an exhibition sapphire display case back secured with 8 screws, and engraved with "WATER RESISTANT - CALIBER DE CARTIER – SWISS MADE – AUTOMATIC – STAINLESS STEEL," and a serial number. The 42mm diameter solid three-body case, curved lugs, and 18k flat rose gold bezel with an inner knurled edge, are polished/brushed. 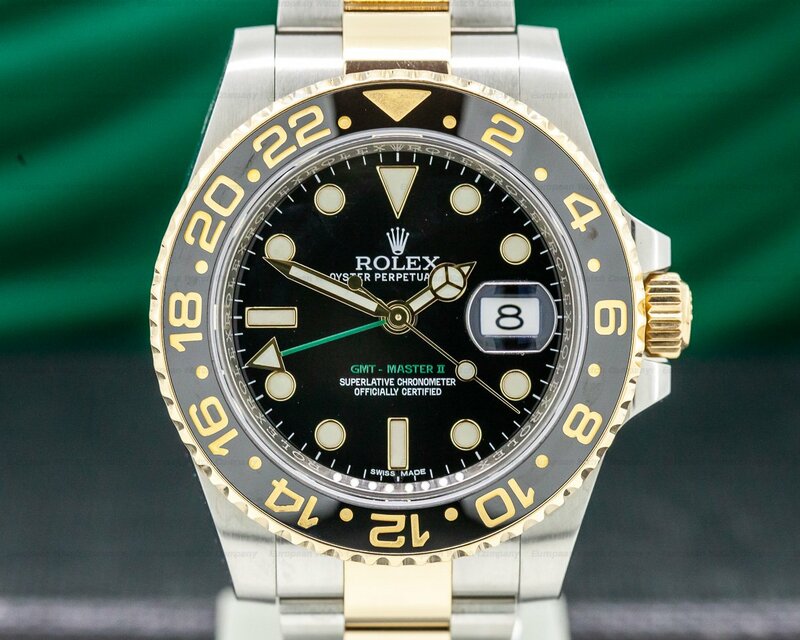 It has a silver dial with black Roman numeral and baton hour markers on a guilloche reserve (with the secret Cartier signature at X), and oxidized black sword hands with luminous inserts. There is a railroad-style 60-minute/second track around the perimeter with black Arabic numeral markers every five minutes. 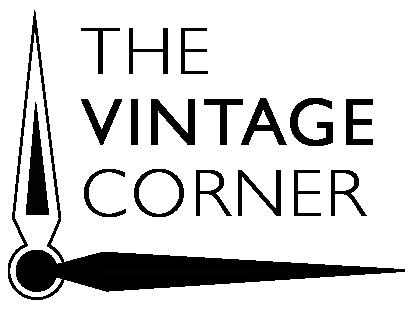 It has a large recessed steel subsidiary running small seconds dial at 6 o'clock, and a steel-rimmed triple-date aperture window arch is at 3 o'clock. 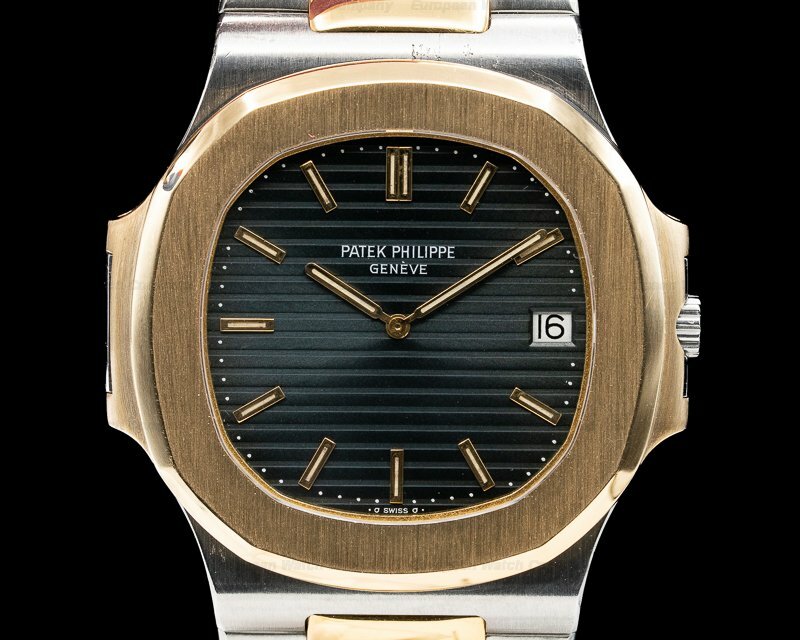 It's water resistant to 30 meters/100 feet, it has a 48-hour power reserve at full wind, and the 14mm thick case, dial, and movement are all signed. 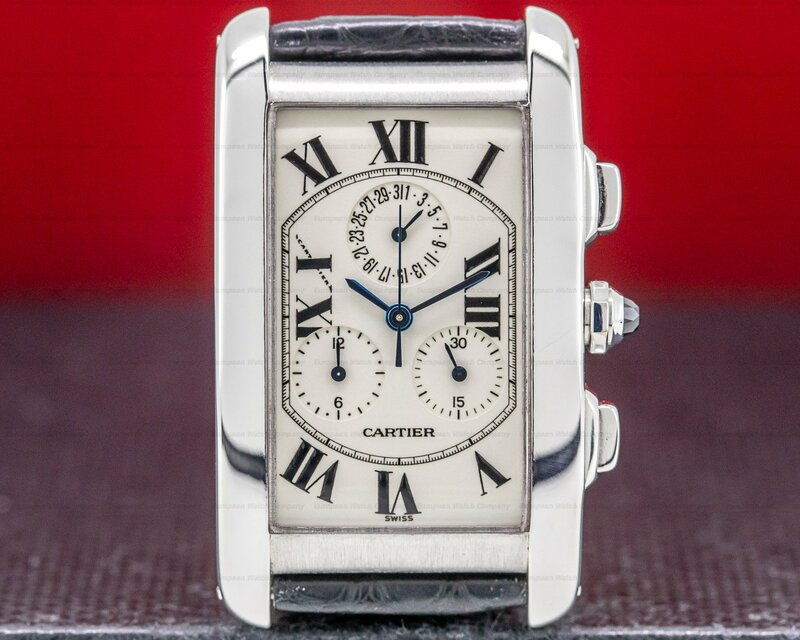 This Cartier Calibre de Carter W7100039 has a mechanical automatic self-winding Cartier caliber 1904-PS MC movement. It's rhodium plated, and the rotor, main plate, and upper bridges have cotes de Geneve embellishment and circular graining. It has a pawl system for quick winding, a bi-directional full-size rotor, and it's constructed with 27 jewels, a shock absorber device, and a straight-line lever escapement. It includes a monometallic balance, and a self-compensating flat balance spring. The mechanism oscillates at a frequency of 28,800 vph (4 Hz). 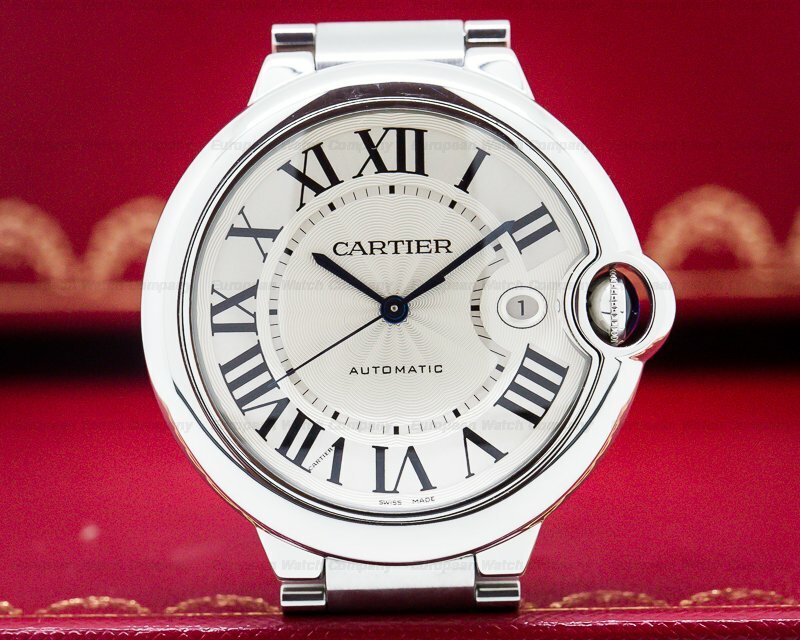 The Cartier Calibre de Carter W7100039 was introduced at he SIHH exhibition in 2010.